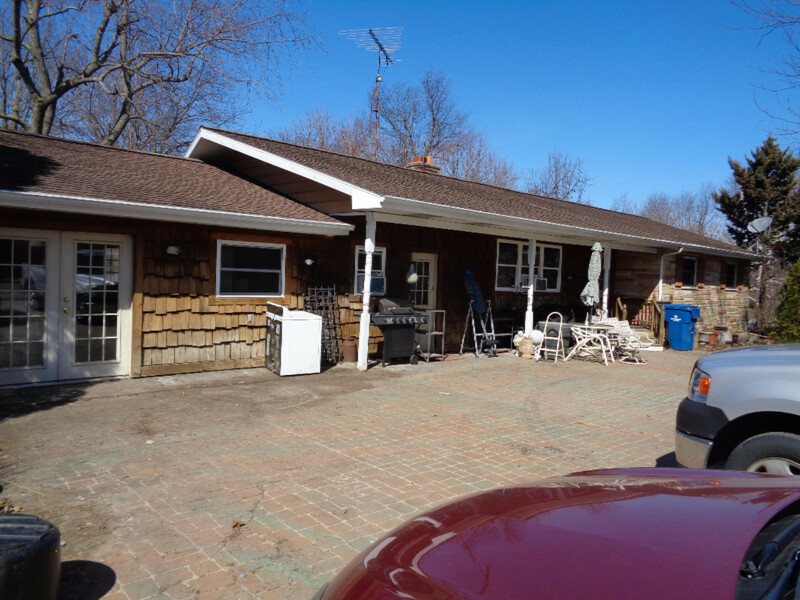 3 bedroom 1 1/2 bath rancher on5.74acres, needs a little TLC, stamped concrete drive/patio, rest is paved. 4 car detached garage w/workshop & 2 over head doors. 40x60 pole building in back with water & elec. Elec. needs fixed. 2 car attached garage was converted into a family room.Has a bonus room between main house and family room previously used for kennel work. Elec. baseboard heat, LP gas water heater & dryer hookup. Full basement had prior water, unplugged the eaves and it stopped years ago. No knowledge about it now. Has a 100x200 fenced dog/animal run on South side. Could be used for other animals. Don't wait on this one. Has an asparagus patch, red raspberries, 2 peach trees & 3 apple trees. Will not VA-RUD or FHA, don't ask. Possession cannot be before April 21.